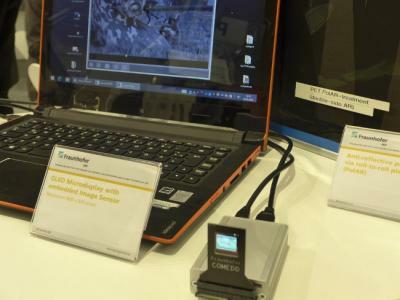 The Fraunhofer Institute has been developing bi-directional OLED microdisplays for years, and they now demonstrate their latest prototype that features an SVGA resolution - up from VGA in the previous prototype shown in 2012. Besides the increased resolution, the new microdisplay also features a higher resolution image sensor and an enhanced color depth. 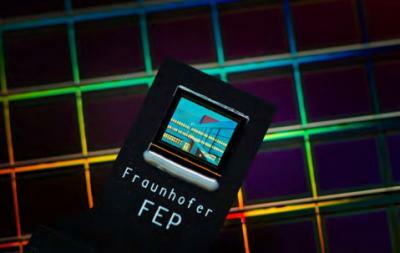 Fraunhofer also integrated more components directly into the microdisplay chip, which will make integration easier.